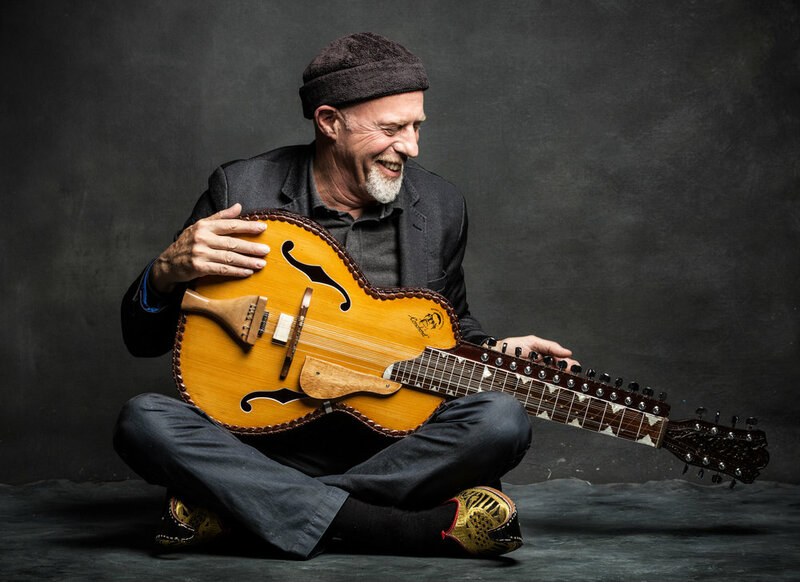 Master musician Harry Manx brings a lifetime of music and life experiences to his concerts and workshops. In his most recent workshop (The Musician in the Music) which he first revealed during a brief stint as an instructor at the Artist in Residence program at the Banff Centre for the Arts, Harry discussed how our lives impact the music we play. He explains that who we are plays a major role in the creation and performance of our music. The notes we choose, the tempos, the lyrics all find their source in our life experiences. Harry shows how the music can be enhanced and enriched by looking at how we approach music. Is music merely an outlet for our emotions, is it our personal identity, is it the fulfillment of a desire to inspire the world? Whatever it may be for anyone there is no one way, good or bad to approach music, but becoming aware of your own motivating forces can help a musician to be clear about what they would like to do with their musical abilities. Having a clear vision for your musical path will help you achieve your goals.